Few baseball teams matched the success of the Kansas City Royals in the 1970s and 1980s. Following their World Series victory in 1985, the string of postseason appearances seemed likely to continue for years to come. But the winning stopped and the once-proud franchise descended into mediocrity. Bad turned to worse in the 2000s when the team lost a hundred games four times in five seasons. Players and managers came and went, but the losing continued. Mired in the longest playoff drought of any major American sports team, Kansas City became the laughingstock of baseball. Then in 2013 something strange happened—the Royals posted a winning record. Heading into the next season, KC fans harbored an optimism not seen since the glory days of Brett, White, McRae, and Saberhagen. Could this current group of Royals break the three-decade span of playoff futility? Relying on speed, defense, pitching, and old-school small ball tactics, the 2014 Royals made a second-half charge that clinched a postseason berth for the first time since 1985. And then the Boys in Blue hit the accelerator for an October ride that defied experts and captivated the nation. 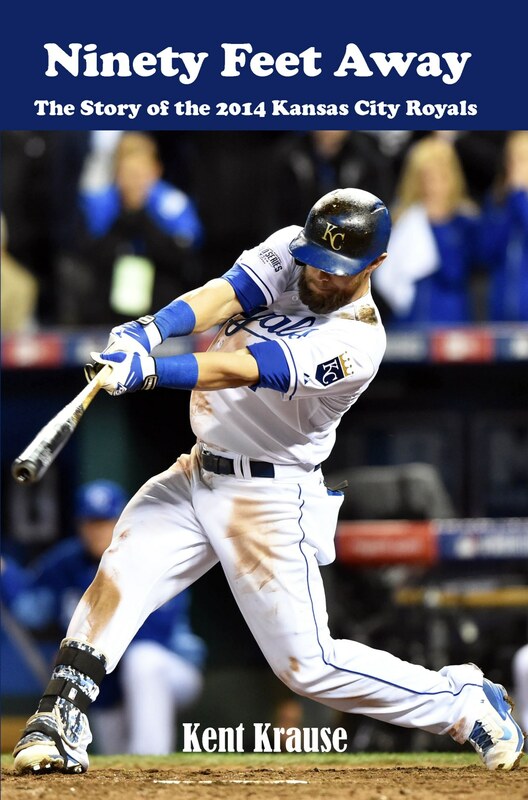 Battling to the final pitch in the ninth inning of Game 7 of the World Series, the 2014 Kansas City Royals completed one of the most memorable campaigns in baseball history. Relive this epic season and learn about the players whose championship quest ended just Ninety Feet Away. Ninety Feet Away is available as a paperback and a Kindle e-book.